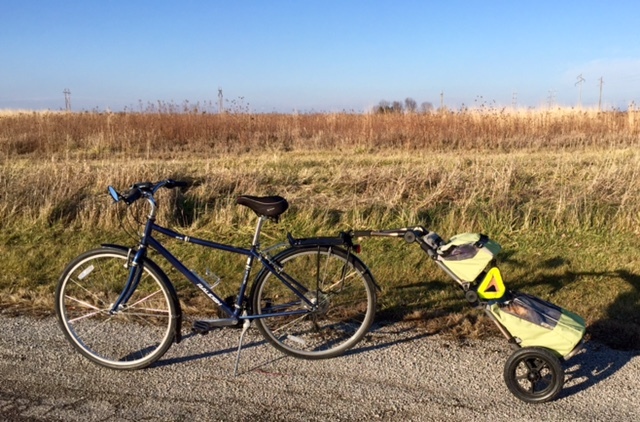 It's December, 46 degrees, and blue sky--time to take the Burley Travoy out to get some groceries. 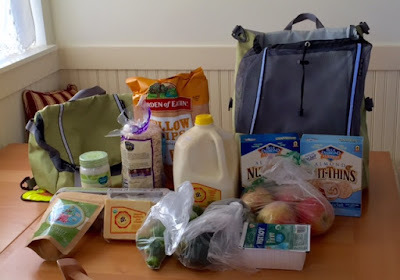 This is my second post on a Travoy grocery run, the last about three years ago with a January test run. 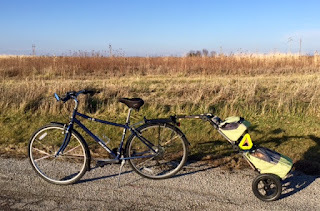 I have a different bicycle, but the trailer experience was pretty much the same. 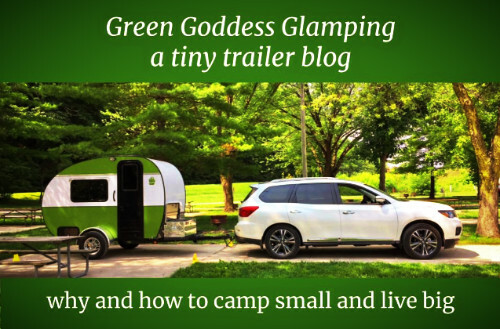 The trailer is just great for a grocery run. What I love most is unhitching the trailer and then using it in the store as a grocery cart while shopping. That's not only efficient but also a foolproof means of knowing everything I buy will fit in the Travoy! The ride to the store is about 1.75 miles. Today it was into the wind on the way there, and I'm not sure yet whether the flat front of the Travoy catches the wind. Maybe it does, or maybe it was just a headwind. 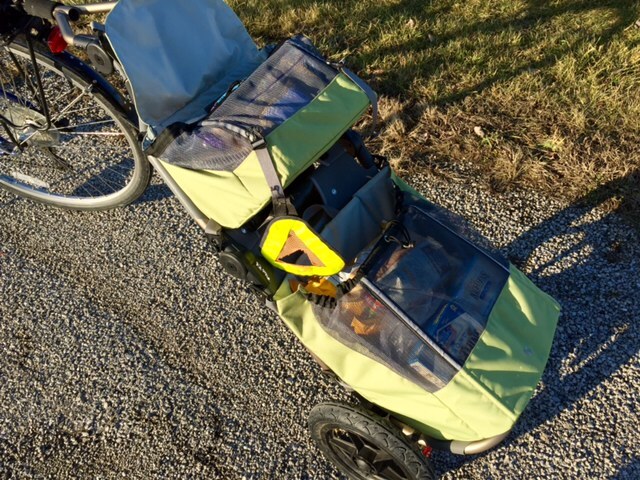 Coming home, I had to climb the steepest hill in town with the 25 pounds of food, and made it with no problems--which means some time totally geared down, and then a bit of upshift and standing on the pedals. I think, though, that the trailer rides more smoothly with weight. At least it is more quiet. I had a full load of groceries, which included a gallon of milk and some space-taking crackers and chips. I put the eggs and glass in the top bag. Notice I have the trailer attachment that fits onto the rear rack. I have to use that because the rack is too long for the trailer to attach to the seat post. However, the rack still has space in front for panniers or canvas bags. It's great to take a ride while doing a chore. I brought home quite a few groceries on my food run. Now I'll have to hope for more good weather to work off all that chow!